The 2018 Mid-term Elections have been one of the most contentious for Arizona to-date; from the heated congressional Senate race to a landmark ballot measure — Proposition 126 — being passed into law. 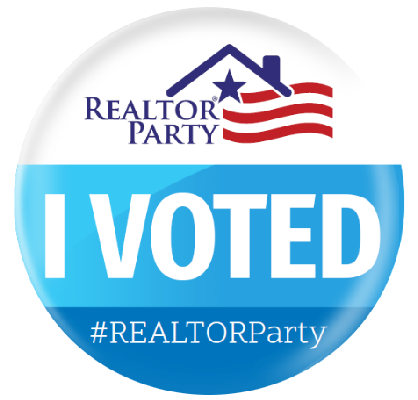 As in all elections, there are wins and losses; but overall, how did the REALTOR® Party fair in its advocacy efforts? 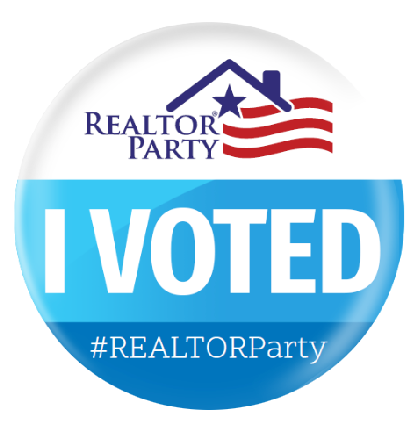 90% RPAC (REALTOR® Political Action Committee) supported 90% of the candidates in winning races! As expected, there has been a swing in the political power from the Republicans to the Democrats, but not as much as the Democrats may have hoped for. The Republicans managed to hang onto their hold in the Senate, while the Democrats were able to gain the majority in the House. Arizona Senate Candidate – Kyrsten Sinema (Democrat) was finally declared the winner, a week after the polls had closed when the counting of hundreds of thousands of early ballots dropped off at polling centers resulted in a 2% lead for Sinema over Martha McSally (Republican). The last two congressional Senate races which are still to be decided are Florida, where there is a recount, and Mississippi, where there is a runoff. 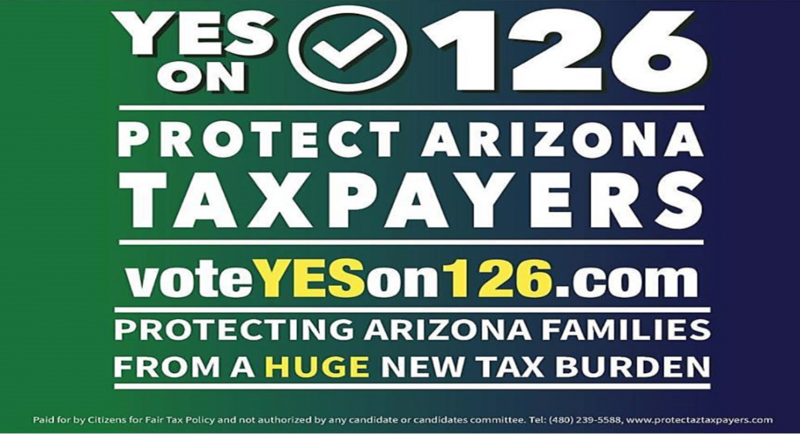 Arizona REALTORS® scored a huge win with the passage of Proposition 126 – an amendment to the Arizona Constitution banning Professional Service Taxes from ever being implemented as a revenue stream for the State. 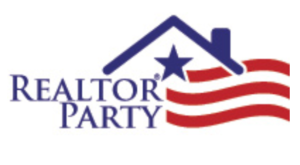 Professional Service Taxes as a revenue source has been brought up every year for almost a decade or more at the state legislature and Arizona REALTORS® have argued vehemently against the enactment of this form of double taxation. 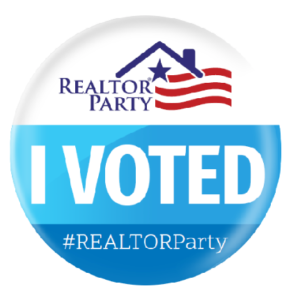 Proposition 126 finally puts a stop to the debates and protects not only REALTORS® and other professional service providers from unfair taxation, but also all Arizona citizens who would have been the ones to ultimately absorb the increase. Local elections were fierce this cycle, with record turnouts at the polls. In Scottsdale, 68% of registered voters cast ballots this year. 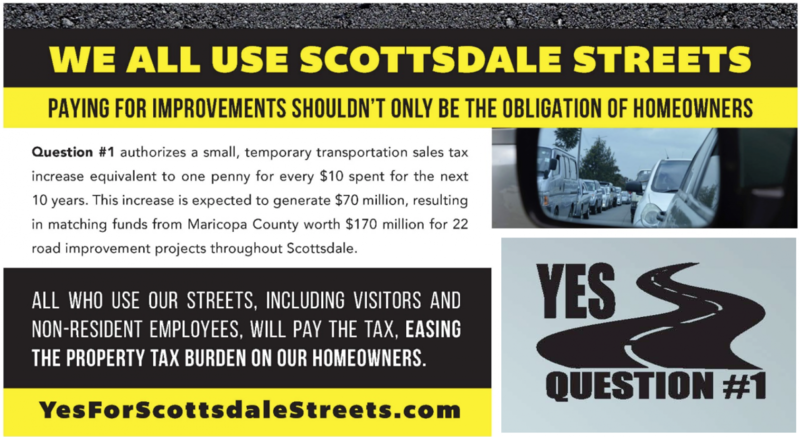 The most notable win for Scottsdale REALTORS® was the passage of the Scottsdale Transportation Sales Tax. For the past two election cycles, Scottsdale has not been able to get a comprehensive bond for capital improvement needs to be passed by the voters. With a current list of capital improvement projects requiring immediate attention now exceeding $800 million, the city could not afford to miss out on any revenue source. Without passage of the sales tax initiative in Question #1, Scottsdale was in jeopardy of losing $170 million of available matching funds from Maricopa County. Now Scottsdale can move forward with the much-needed transportation improvements already outlined and begin planning how to address those projects which remain unfunded. With the elections officially over now, the Scottsdale Area Association of REALTORS® and its members wish to congratulate all winners of the 2018 Elections! We look forward to working with you in 2019. NOTE: Voluntary contributions made to RAPAC (REALTORS® of Arizona Political Action Committee) and the REALTOR® Party – Issues Mobilization funds are what is utilized for all candidate endorsements / independent expenditures and issue campaigns respectively. Membership dues are not utilized for any of these advocacy efforts.